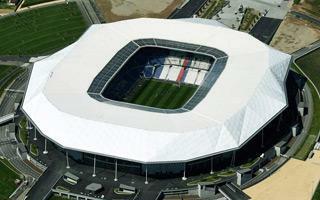 In this stadium’s case first renderings came almost 10 years before actual opening, back in 2007. 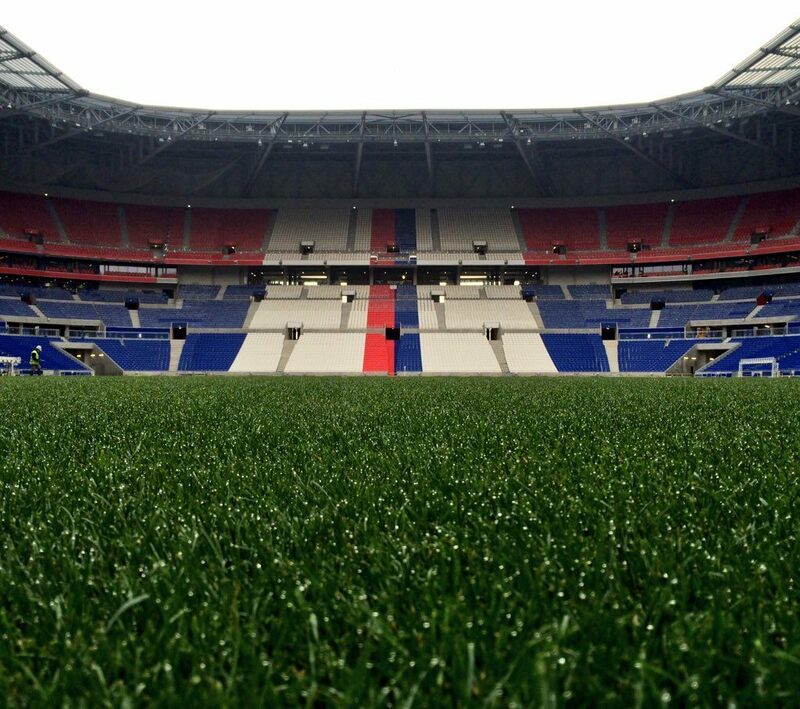 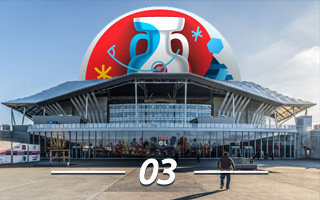 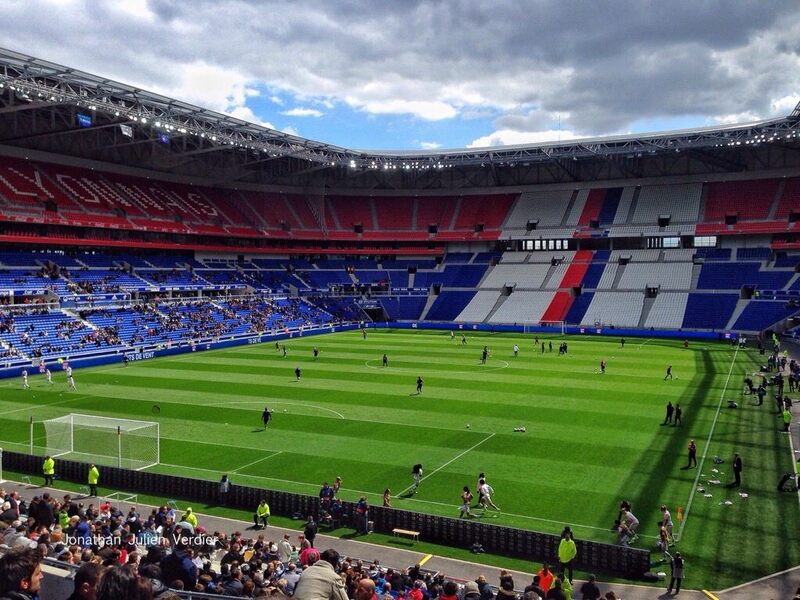 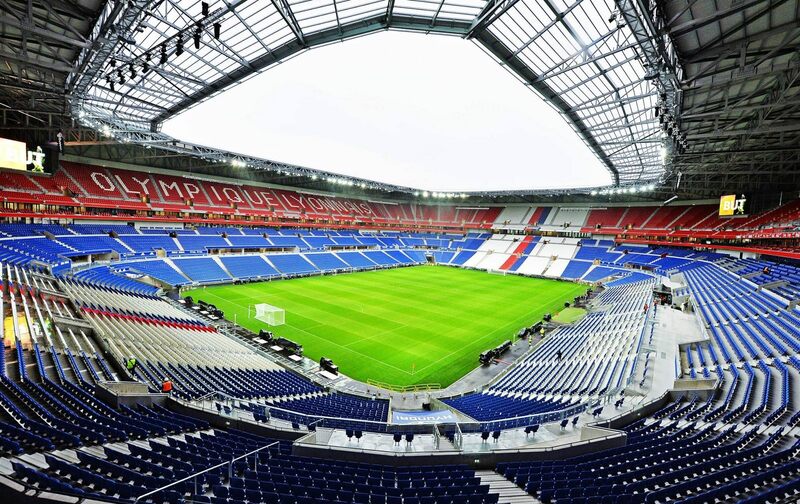 There were several reasons for unexpected delays which made it the very last Euro 2016 stadium to be opened in France. 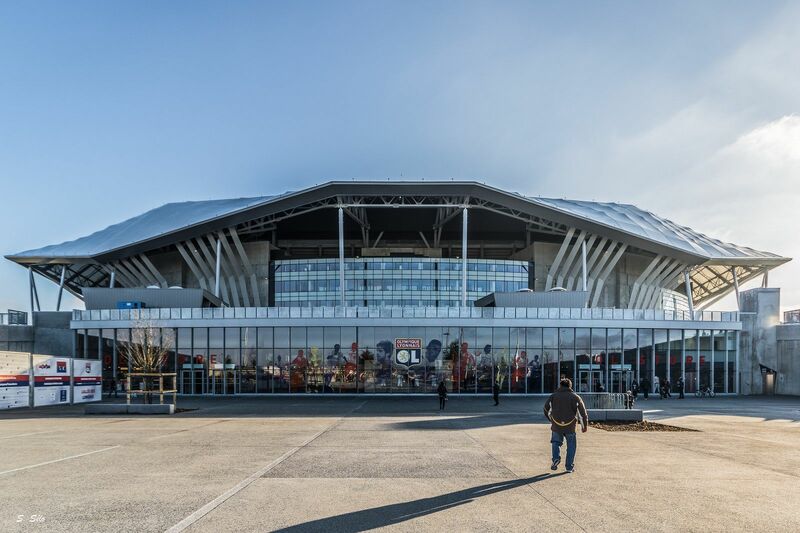 Most importantly, this is also the only venue of this UEFA event that was built with private funds instead of public-private partnership and construction of the budget proved challenging. 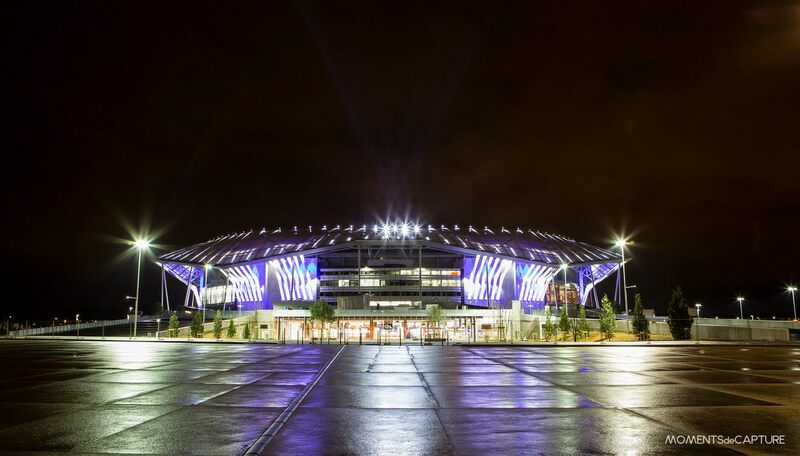 Especially that Olympique Lyonnais didn’t only plan the €410 million stadium, but a vast commercial/leisure complex around it. 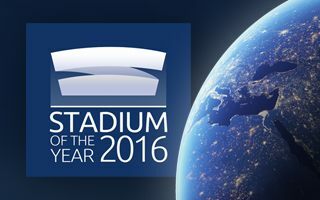 Construction wasn’t launched until October 2012, while initial expectations were for the stadium to open already for the 2012/12 season! 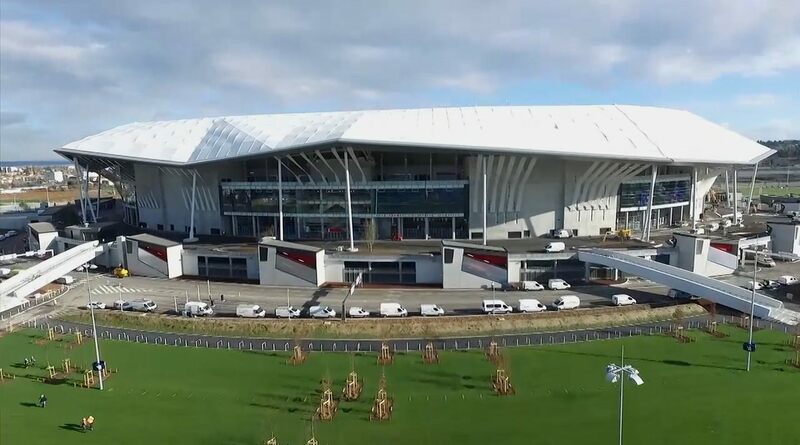 With such large setback it only proved possible to inaugurate the arena in January 2016, half-way through the Ligue 1 2015/16 season. 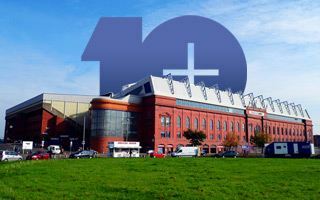 Stadium design evolved significantly over that time and, in all fairness, ended up being more modest than initial plans. 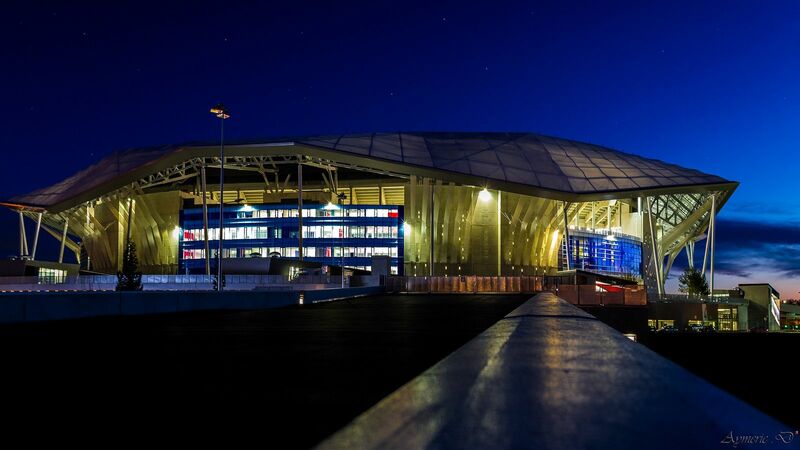 The roof structure and landscaping around were downscaled, though still catch the eye and remain the key aesthetic ‘touch’. 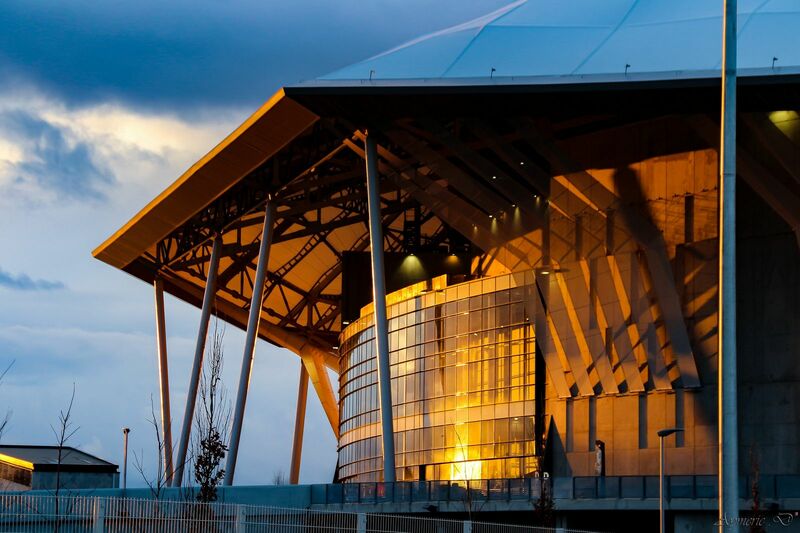 While eventually not covered with photovoltaic panels, the roof still manages to collect rainwater for internal use. 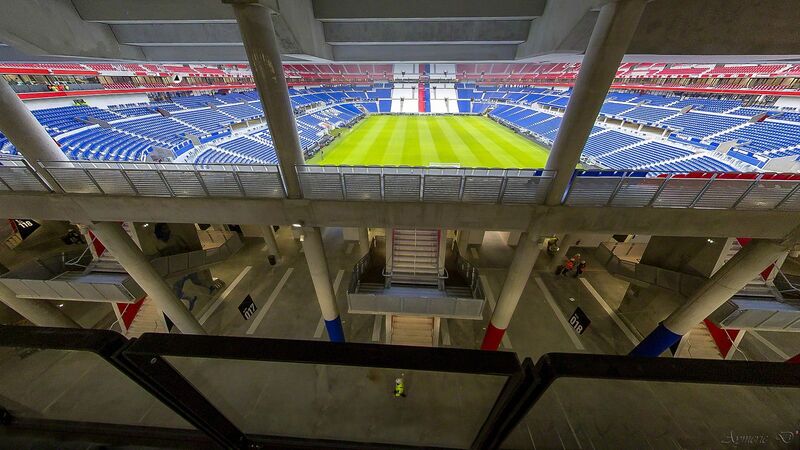 Aimed at resembling a forest, the stadium’s canopy spreads like treetops much beyond the stadium itself. 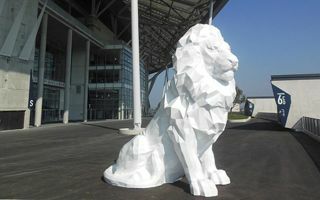 This impression is aided by seemingly chaotic outer columns. 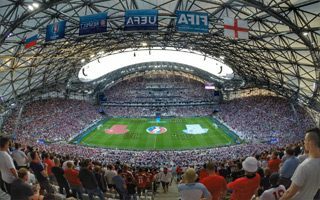 Just like an actual forest, the canopy offers shelter and is hoped to boost pre/post-game atmosphere outside the stands themselves. 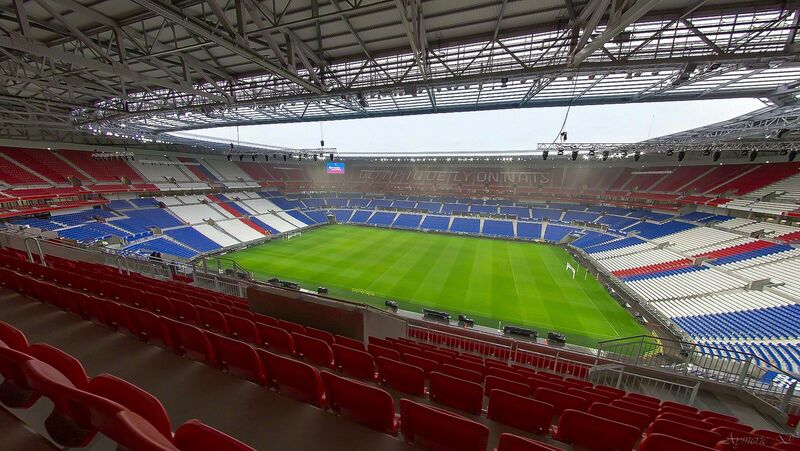 Inside, the stands offer app. 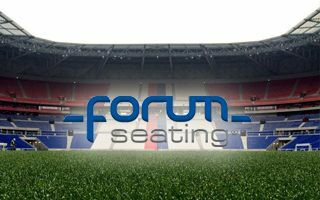 60,000 seats and 10% of them are dedicated to corporate clients. 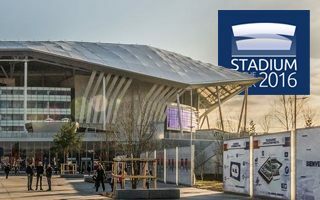 Of the 6,000 business seats some 1,400 are spread across 105 skyboxes, while remainder is located in the stands, with access to a total of 8 large business lounges. 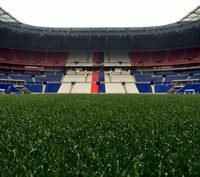 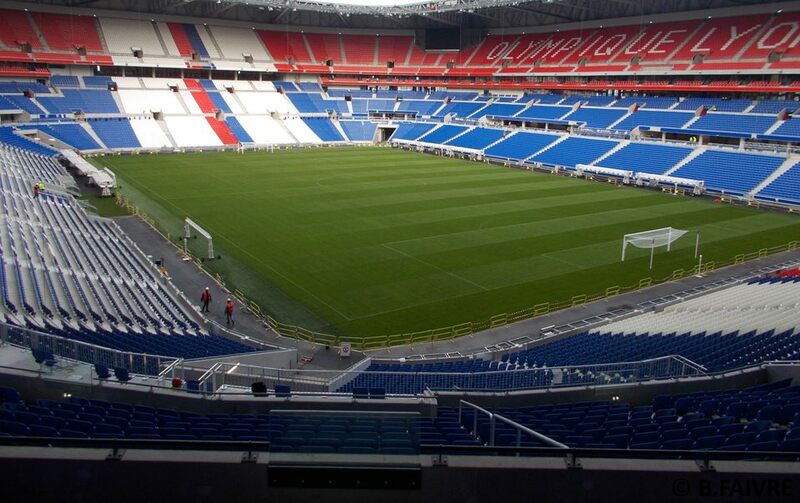 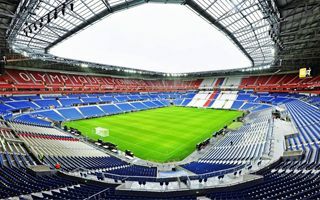 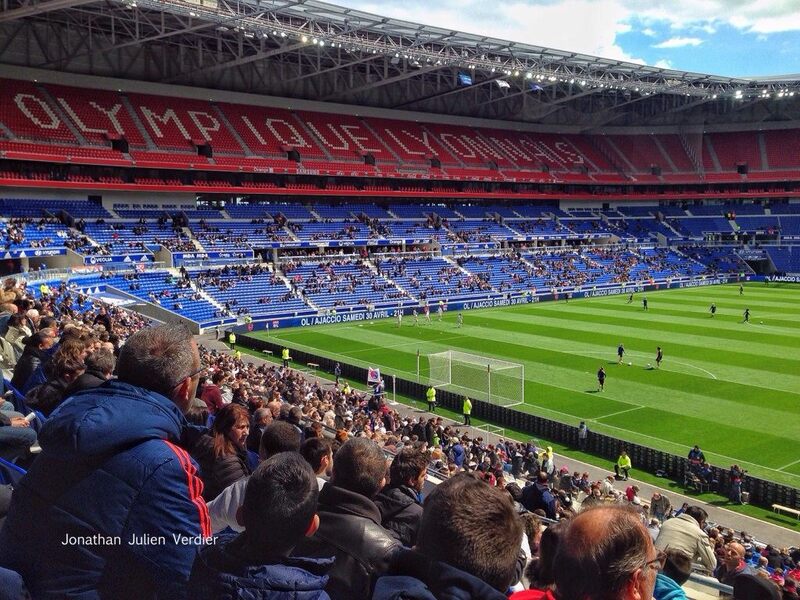 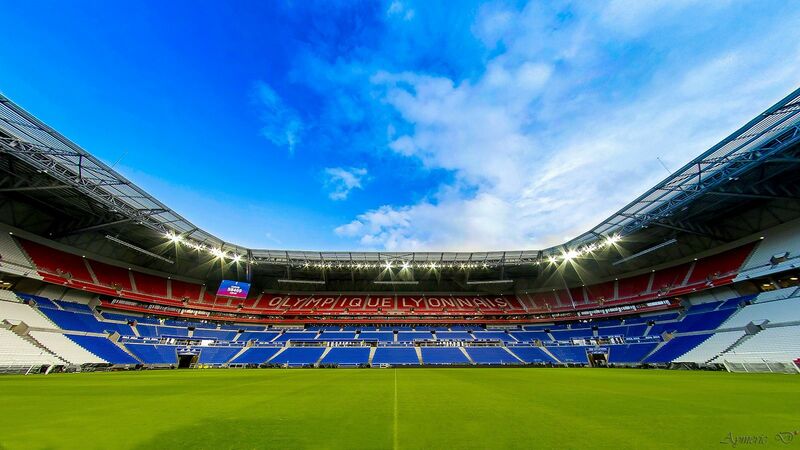 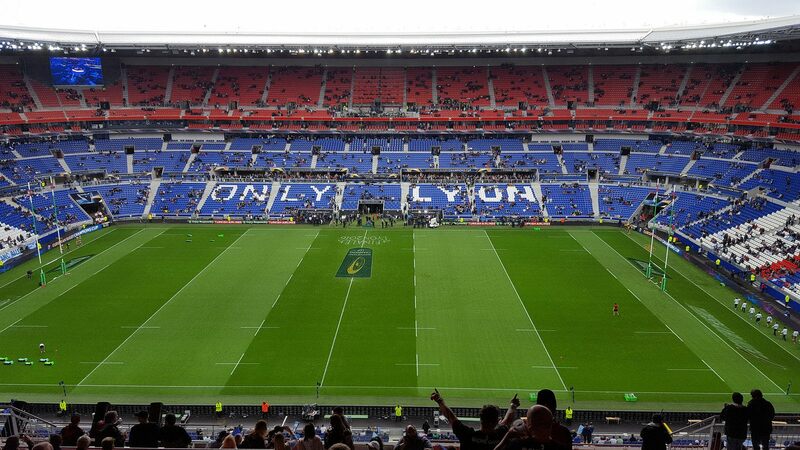 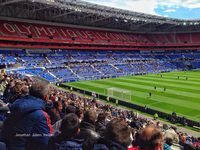 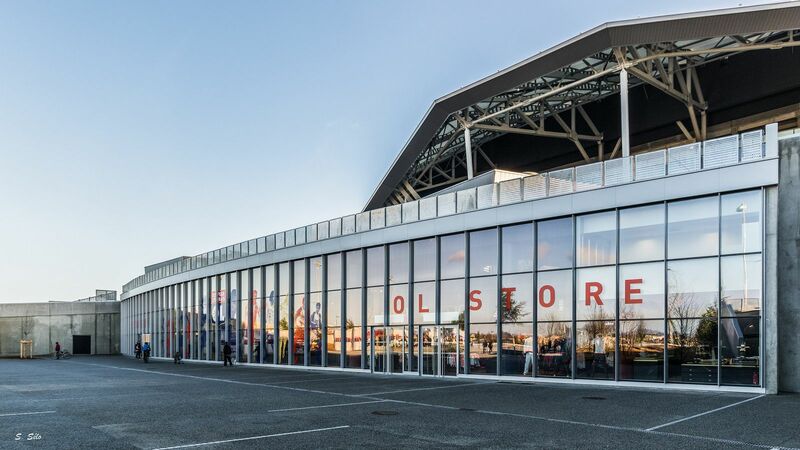 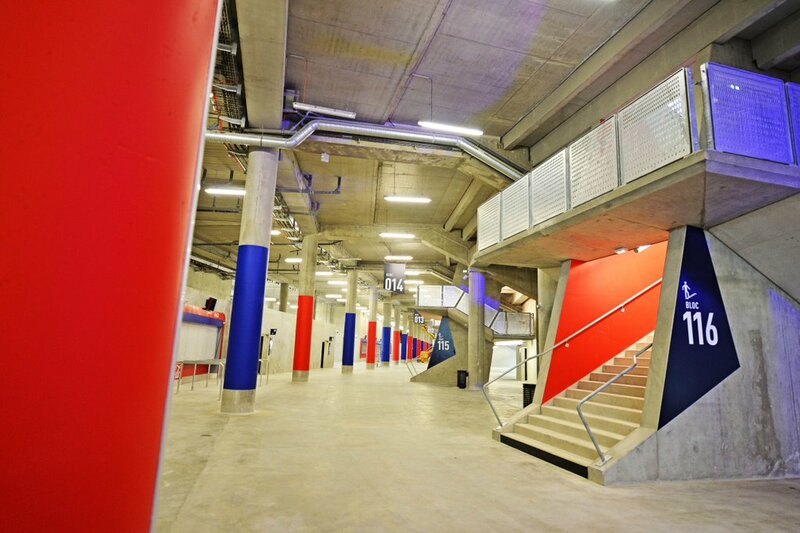 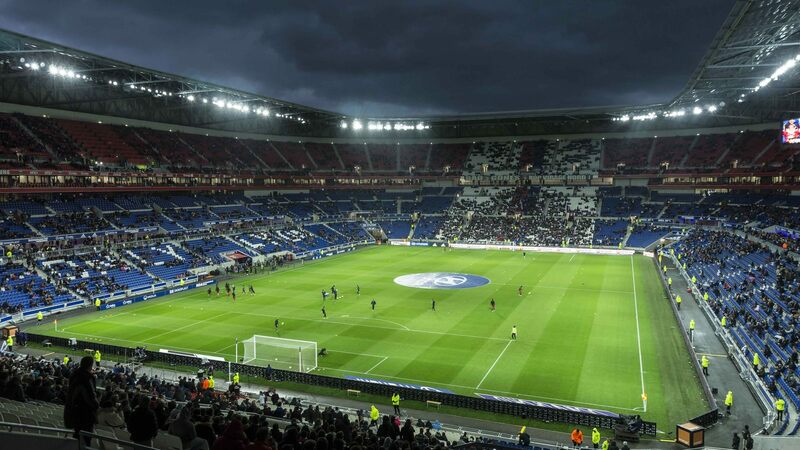 Increased capacity and corporate seat percentage allowed Olympique Lyonnais to expect matchday revenue to grow 3-5 times compared to Stade de Gerland once the new stadium is fully optimized. 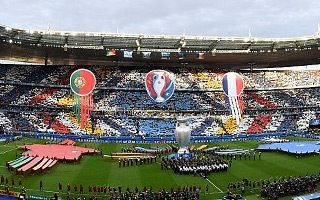 Aside from corporate guests there are 350 places for disabled supporters and the more causal and louder crowd was also taken into account. 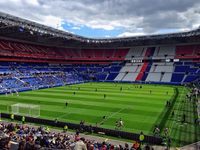 Most vocal fans were given two ‘virages’ behind each goal, where the lower tier was expanded to resemble a traditional terrace. 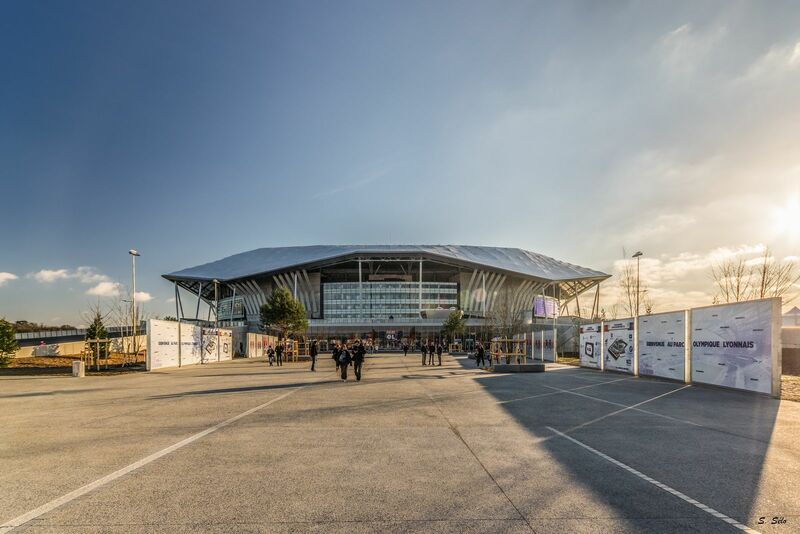 The largest private stadium in France, Groupama Stadium in Lyon, has won the 2018 British Expertise, International Architecture and Design Project Award. 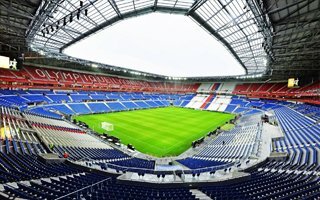 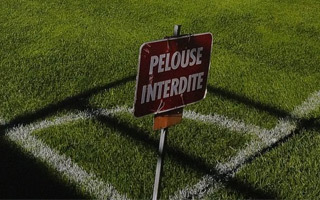 First naming rights contract in the history of Parc OL is signed. 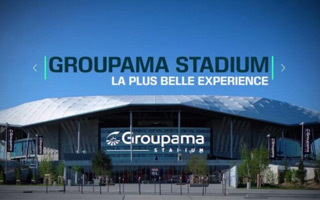 For at least three years it will be known officially as Groupama Stadium.